Hello, Today we share 12 Common Interview Questions and Tips to Answer. I hope it's will be helpful for you. The success of your getting the job that you want depends largely on how well your interview for that job goes. 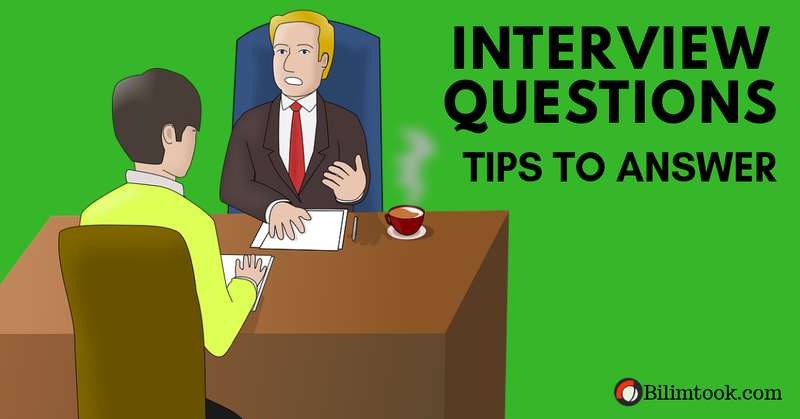 Therefore, before you go in for interview, its is important that you must know which type question will be asked you in the interview. so we are shared top 12 interview questions and tips to answer in this post. Take a look at some of the most frequently asked interview questions, and some helpful tips on how to answer theme. Q1. Can you tell me a little about yourself? · Don’t provide your full employment or personal history. Offer 2-3 specific experience that you feel are most valuable and relevant. Conclude with how those experience have made you perfect for this specific role. Q2. How did you hear about the position? · Tell the interviewer how you heard about the job – whether it was through a friend ( name the friend), event or article ( name them ) or a job portal ( say which one ). Explain what excites you about the position and what in particular caught your eye about the role. Q3. What do you know about the company? · Don’t recite the company about Us page. Show that you understand and care about the company’s goals. Explain why you believe in the company’s mission and values. Q4. Why do you want this job? · Show that you are passionate about the job. Identify why the role id great fit for you. Explain why you love the company. Q5. Why should we hire you? · Prove through your words that you can not only do the work, but can definitely deliver excellent results. Explain why you would be a great fit with the them and work culture. Explain why you should be chosen over any other candidate. Q6. What are you greatest professional strengths? · Be honest – share some of your real strengths, rather than give answers that you think sound good. Offer examples of specific strengths that are relevant to the position you are applying for. Provide examples of hove you have demonstrated these strengths. Q7. What do you consider to be your weaknesses? · The purpose of this question is to gauge your self-awareness and honesty. Give an example of a trait that you struggle with, but that you are working on to improve. Q8. What are you salary requirements? · Do your research beforehand and find out the typical salary range for the job you are applying for. Figure out where you lie on the pay scale based on your experience, education and skills. Be flexible. Tell the interviewer that you know your skills are valuable, but that you want the job and are willing to negotiate. Q9. What do you like to do outside of work? · The purpose of the question is too see if you fit in with company culture. · Be honest – open up and share activities and hobbies that interest and excite you. Q10. If you were animal, which one would you want be? · The purpose of the question is to see if are able to think on you feet. There’s no wrong answer – but to make a great impression try to bring out your strengths or personality traits through your answer. Q11. What you think we could do better or differently? · The purpose of this question is to see if you have done your research on the company, and to test whether you can think critically and cone up with new ideas. Suggest new ideas. Show how your interests and expertise would help you execute these ideas. Q12. Do you have any questions for us? · Do not ask questions to which the answers can be easily found on the company website or through a quick online search. Ask intelligent questions that show your ability think critically. Try and put all the efforts but at the same time don't put too much pressure on yourself. Be calm and have positive mindset to answer all the question. And lastly hope for the best and do hard work and keep trying. Be honest and confident while answering. Use example of your past experiences wherever possible to make your answer more impactful. Bilimtook.com Is a multi informational website for Indian Peoples. It’s share many more information about Govt Jobs, Promo code and Coupons, Facts, Life Style, Science and Technology, Education, Web Design, News, Quotes, Skills, success stories, biography, Tips and tricks, Health, sarkari result, Mobiles review, naukri and codes in this website.